This distinctive vine is a beautiful evergreen plant that thrives in difficult areas most plants won’t tolerate. 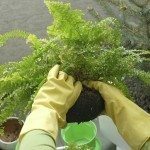 The plant is also useful for covering up unsightly defects in brick or masonry walls. Although Boston ivy has many benefits, it has nearly as many negative qualities. Consider carefully before planting Boston ivy in your garden. 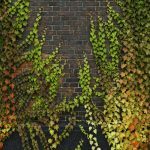 Will Boston Ivy Vines Damage Walls? English ivy, Boston ivy’s extremely destructive, distant cousin, can destroy walls as it digs its aerial roots into the surface. English ivy is also extremely aggressive and is considered an invasive weed in many states for its ability to choke out native plants and trees. In comparison, Boston ivy is a relatively gentle grower that clings by means of small suckers at the end of the tendrils. The plant is known as a self-adhesive plant because it requires no trellis or other supportive structure to keep it upright. Although Boston ivy is relatively well-behaved, growing Boston ivy on walls requires considerable maintenance, and ivy plants near walls will soon find the way to the upright surface. Planting the vine on or near a painted wall may not be a good idea because it is likely to damage the paint. Otherwise, the vine does little damage. Never plant Boston ivy plants near walls unless you’re prepared for the plant to be permanent, and you’re willing to do regular maintenance. Frequent trimming is required to keep the ivy from covering windows, eaves and gutters. Once the plant is established, it can be extremely difficult to remove and eliminating the vines permanently may require many hours of ripping, digging, scraping and scrubbing. If you’re thinking about planting Boston ivy, purchase the plant from a reputable, knowledgeable nursery or greenhouse. Be sure you’re buying Parthenocissus tricuspidata (Boston ivy) and avoid Hedera helix (English ivy) like the plague.